I bet you’ve heard that before or maybe it’s even you who’s been saying it! So you want to develop a new product but you're just not sure how to go about it or how much to invest. If you engage with a design consultancy, how will you manage the process and will you get value for money? Let’s try to understand the value that good design can bring to your company so that you can confidently move forward with your next development. Let’s first talk about good design versus bad design. Good design comes from having a clear brief with realistic time schedules and a creative design team working to an adequate budget. The creative team work collaboratively with key staff to create intuitive, cost effective products that meet the needs of the company and their customers. Bad design comes from having an unprepared and unclear brief with an unrealistic time schedule and an inadequate budget! The lack of direction from tan unclear brief coupled with unrealistic goals and timescales results in poorly designed products! Companies often try to engage creative teams far too late in the process, believing they can partially design the product themselves and use a design team to fix the problems at the end. This simply doesn't work. Good design can be measured by looking at how its correct implementation has positively affected other companies. We all know and understand the benefits of good design when we think about Apple products yet we often dismiss the positive effect that good design can have on a new product when we think about less complex products. Just think about how good your new product could be if you approach it in the same manner as companies like Apple! Here’s some interesting facts from a study carried out by the Design Council. Every £100 a design aware business spends on design increases their turnover by £225. In businesses where design is integral to operations, over three quarters say they’ve increased their competitiveness and turnover. Businesses that see design as integral don’t need to compete on price as much as others. Almost half of all UK businesses believe that, over the past decade, design has become more important in helping them maintain a competitive edge. Turnover growth is more likely for businesses that increase their investment in design. Two thirds of UK businesses believe that design is integral to future economic performance. Over two thirds of manufacturers believe it’s worth investing in design in their sector. On average, design aware businesses increase their market share by around 6% through using design. Numerous other studies have been conducted that show companies that are design-driven (using design as a key strategic advantage) were founded to be stronger on all financial measures. Businesses recognise that good design can have a powerful impact on competitive advantage and profitability. It can differentiate products and services and enhance their value – while poor design can threaten the survival of an organisation. Good design enhances brand value and helps to reduce complexity and cost. So it’s clear that engaging with good design can be beneficial to your company. You should be considering adopting design as a core element within your business and looking at good design as a sound investment in your company’s future. Now go and think about that next product and do it right. I know what you’re thinking - it’s 2016 and you’re just starting a blog! What the hell have we been doing? Well, we’ve been meaning to get a blog together for some time now but work commitments have meant it just kept getting put to the bottom of the pile. No excuse really but hopefully we’re here to stay. The aim of our blog is threefold. Firstly we want to create informative content that will help you navigate through the design world a little easier. If you are buying design or thinking about buying design then I hope our content will be interesting and informative to you. We’ll be posting these blogs up on a regular basis so stay tuned. Secondly we want to keep you up to date with the goings on at Cube3. This may be about cool events that we’ve attended, Cube3 products or services that are launched, changes to what or how we deliver to our clients, maybe even personal stuff that we’re proud of. Finally, we’ll be commenting on the design world in general. This might be about cool new products on Kickstarter, design news, interesting tech advances and anything else that gets us excited about design. We’d love to hear from you if you have ideas on what we can blog about so feel free to let us know what excites or confuses you. We’d love you to subscribe too if you like what you read. ‘StoreFloor’ is a revolutionary new product from LoftZone that allows homeowners to increase the thickness of their loft insulation and continue to store their prized possessions in the same loft space! LoftZone chose to develop the ‘StoreFloor’ system with Essex based Product Design consultancy, Cube3. The key innovation here is the versatility of installation. The ‘StoreFloor’ system is not only easy to install but crucially will fit in almost any loft. Roof truss or ceiling tie spacing varies tremendously, but the loft boarding panels are of a fixed size. The ‘StoreFloor’ system deals with this problem easily where previous solutions failed. We have used a lightweight beam component and a unique triangulated polymer support to allow a considerable variation in ceiling tie spacing without the need for the installer to cut the boards to size! Since its launch at Eco build 2012, the system has received incredible levels of interest and has led LoftZone to win the "Business of change 2012" award. Some time ago we entered into a joint venture with a start-up IP company and developed a patented device for measuring and cutting wood accurately and squarely. This project was another ground up design from concept to manufacturing data. It is now manufactured in China under license and won hand tool of the year at two prestigious UK events in 2010. It is now distributed by Toolbank under the Faithfull brand, Clas Olhson as the Multifunction Tape measure and has a number of other brands very interested in the increasing sales volumes the product is currently making. The product is being received very well, with users comments ranging from "How did I ever survive without this tool" to "Overall, first impressions are five-star"
With a vested interest in the product's success, we are looking forward to reaping the rewards for good design! Cube3 has designed many lighting products for Peli's Advanced Area Lighting Group and we have recently won a Chicago Athenaeum award for good design for the ground up development of Peli's new 9440 RALS product. 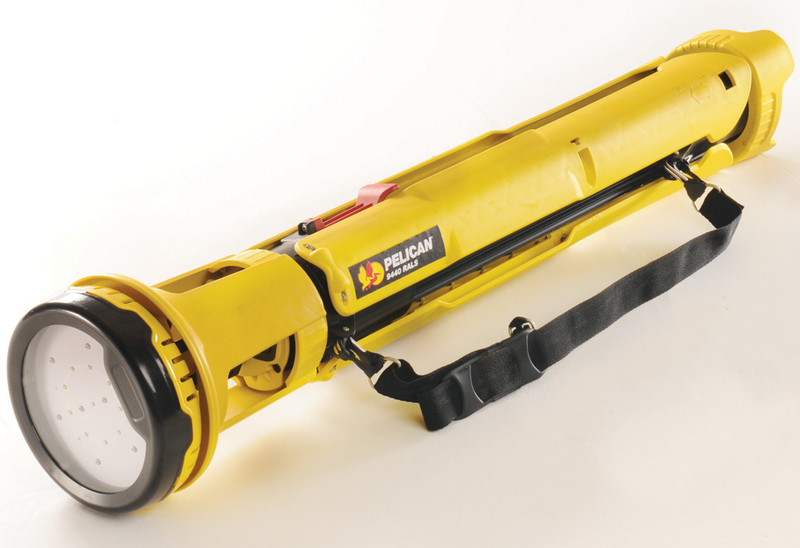 This is a robust and versatile remote area work light that picks up where the 9430 RALS left off. It was a challenging brief. Super bright, lightweight, long burn time, 2.5m high, quick to deploy, easy to use and super robust. The final product delivered on all of the requirements of the original brief and has now become a Peli best seller proving to be the fastest selling new product they have ever released. With a number of further developments in the pipeline, it looks to be a long and prosperous partnership for Cube3 and Peli.